Galaga (ギャラガ, Gyaraga?) 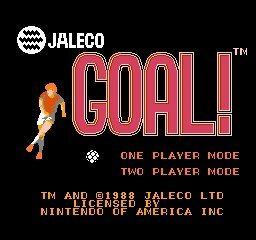 is a fixed shooter arcade game developed and published by Namco in Japan and published by Midway in North America in 1981. 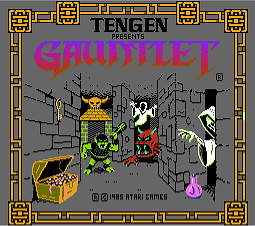 It is the sequel to Galaxian, released in 1979. 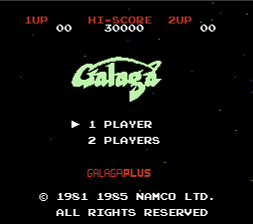 The gameplay of Galaga puts the player in control of a space ship which is situated at the bottom of the screen. 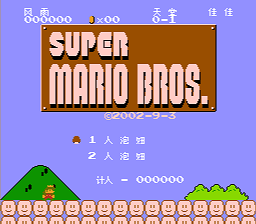 At the beginning of each stage, the area is empty, but over time, enemy aliens will arrive in formation, and once all of the enemies arrive on screen, they will come down at the player's ship in formations of one or more and may either shoot it or collide with it. 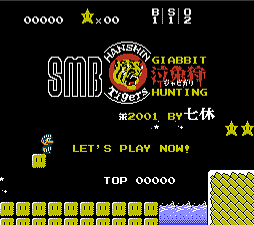 During the entire stage, the player may fire upon the enemies, and once all enemies are vanquished, the player will proceed to the next stage. Galaga has proven very successful. 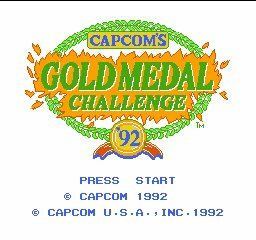 The arcade version of it has been ported to many consoles, and it has had several sequels. In architecture, a gargoyle is a carved stone grotesque, with a spout designed to convey water from a roof and away from the side of a building thereby preventing rainwater from running down masonry walls and eroding the mortar between. Architects often used multiple gargoyles on buildings to divide the flow of rainwater off the roof to minimize the potential damage from a rainstorm. A trough is cut in the back of the gargoyle and rainwater typically exits through the open mouth. 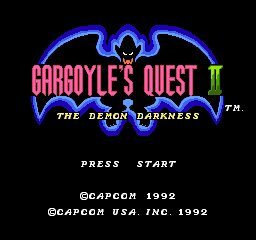 Gargoyles are usually an elongated fantastic animal because the length of the gargoyle determines how far water is thrown from the wall. When Gothic flying buttresses were used, aqueducts were sometimes cut into the buttress to divert water over the aisle walls. 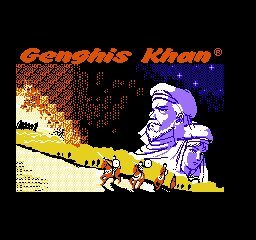 Genghis Khan (/ˈɡɛŋɡɪs ˈkɑːn/ or /ˈdʒɛŋɡɪs ˈkɑːn/, Mongol: [tʃiŋɡɪs xaːŋ] ( ); Chingis/Chinghis Khan; 1162? – August 1227), born Temujin, was the founder and Great Khan (emperor) of the Mongol Empire, which became the largest contiguous empire in history after his demise. He came to power by uniting many of the nomadic tribes of northeast Asia. After founding the Mongol Empire and being proclaimed "Genghis Khan," he started the Mongol invasions that resulted in the conquest of most of Eurasia. These included raids or invasions of the Kara-Khitan Khanate, Caucasus, Khwarezmid Empire, Western Xia and Jin dynasties. These campaigns were often accompanied by wholesale massacres of the civilian populations – especially in the Khwarezmian controlled lands. By the end of his life, the Mongol Empire occupied a substantial portion of Central Asia and China. Before Genghis Khan died, he assigned Ögedei Khan as his successor and split his empire into khanates among his sons and grandsons. He died in 1227 after defeating the Western Xia. He was buried in an unmarked grave somewhere in Mongolia at an unknown location. His descendants went on to stretch the Mongol Empire across most of Eurasia by conquering or creating vassal states out of all of modern-day China, Korea, the Caucasus, Central Asian countries, and substantial portions of modern Eastern Europe, Russia and the Middle East. Many of these invasions repeated the earlier large-scale slaughters of local populations. As a result Genghis Khan and his empire have a fearsome reputation in local histories. Beyond his military accomplishments, Genghis Khan also advanced the Mongol Empire in other ways. He decreed the adoption of the Uyghur script as the Mongol Empire's writing system. He also promoted religious tolerance in the Mongol Empire, and created a unified empire from the nomadic tribes of northeast Asia. Present-day Mongolians regard him as the founding father of Mongolia. Ghostbusters is a 1984 American supernatural comedy film directed and produced by Ivan Reitman and written by Dan Aykroyd and Harold Ramis. It stars Bill Murray, Aykroyd, and Ramis as three eccentric parapsychologists in New York City who start a ghost-catching business. Sigourney Weaver and Rick Moranis co-star as a potential client and her neighbor. The Ghostbusters business booms after initial skepticism, but when an uptown high-rise apartment building becomes the focal point of spirit activity linked to the ancient god Gozer, it threatens to overwhelm the team and the entire world. Originally intended by Aykroyd as a project for himself and fellow Saturday Night Live alumnus John Belushi, the film had a very different story during initial drafts. Aykroyd's vision of "Ghostmashers" traveling through time, space and other dimensions to fight large ghosts was deemed financially impractical by Reitman. Based on the director's suggestions, Aykroyd and Ramis finalized the screenplay from May–June 1982. They had written roles specifically for Belushi, John Candy and Eddie Murphy, but were forced to change the script after Belushi died and the latter two actors would not commit to the film. 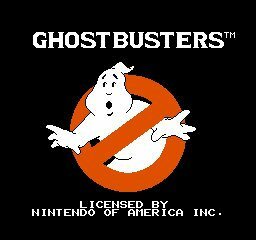 Ghostbusters was released in the United States on June 8, 1984. It was a critical and commercial success, receiving a positive response from critics and audiences and grossing US$238 million in the United States and more than $291 million worldwide. It was nominated for two Oscars at the 57th Academy Awards for Best Visual Effects and Best Original Song (for the eponymous theme song), but lost them to Indiana Jones and the Temple of Doom and The Woman in Red respectively. The American Film Institute ranked Ghostbusters 28th in its AFI's 100 Years...100 Laughs list of film comedies. 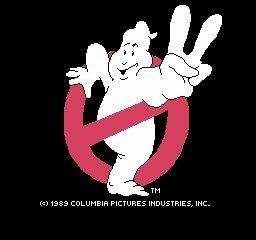 The film launched the Ghostbusters media franchise, which includes a 1989 sequel, Ghostbusters II; two animated television series, The Real Ghostbusters and Extreme Ghostbusters; and several video games. Disambiguation: For the 1988 movie, see Scooby-Doo and the Ghoul School. 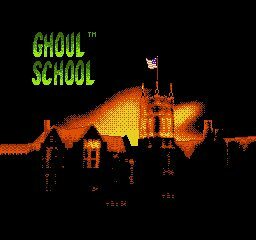 Ghoul School is a survival horror video game released for the Nintendo Entertainment System in 1992 by Imagineering. 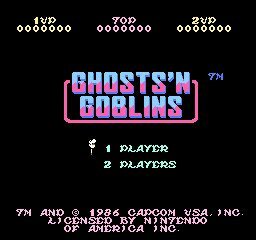 This game takes place in a high school which has been overrun by ghosts/demons. Godzilla (ゴジラ, Gojira?) (/ɡɒdˈzɪlə/; [ɡoꜜdʑiɽa] ( )) is a fictional Kaiju (monster) first appearing in Ishirō Honda's 1954 film Godzilla. 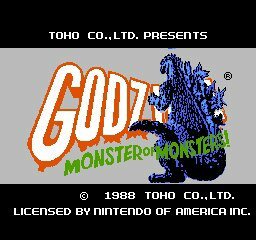 Since then, Godzilla has gone on to become a worldwide pop culture icon starring in 28 films produced by Toho Co., Ltd.. The character has appeared in numerous other medium incarnations including video games, novels, comic books, and television series. A 1998 American reimagining was produced by Tri-Star Pictures (the title monster of which was renamed to Zilla by Toho in 2004's Godzilla: Final Wars), while a second American version by Legendary Pictures is set to be released in May 2014. The character is commonly alluded to by the title King of the Monsters, an epithet first used in the Americanized version of the original 1954 film. With the nuclear bombings of Hiroshima and Nagasaki and the Lucky Dragon 5 incident still fresh in the Japanese consciousness, Godzilla was conceived as a metaphor for nuclear weapons. As the film series expanded, some stories took on less serious undertones portraying Godzilla as a hero while other plots still portrayed Godzilla as a destructive monster; sometimes the lesser of two threats who plays the defender by default but is still a danger to humanity.